I'm going to try to get you an exclusive today. 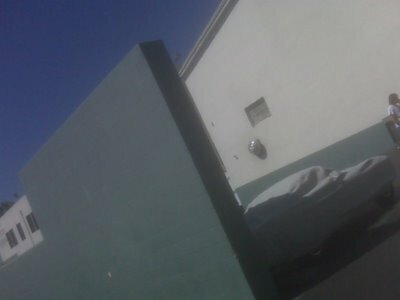 Miley Cyrus is back on the lot filming Hannah Montana, so I'm going to try to take her picture today for your blog. I got all excited, thinking I was going to get an exclusive picture of Miley. I imagined teeny boppers around the world visiting my blog to see it and buying my books in the process. I was going to be rich. I just sent you a great pic of Billy Ray, did you get it? Yes, that's his "great" pic. It's almost as good as his Adrien Grenier one. A gossip blog I am not.